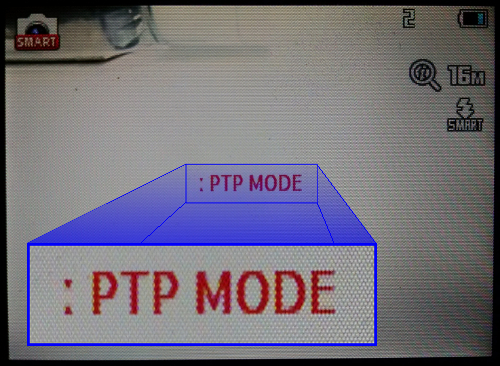 If your camera is unable to take photos because it is stuck in PTP mode ("PTP mode" displays on the screen), follow the steps below to exit PTP and return to normal mode. 2. 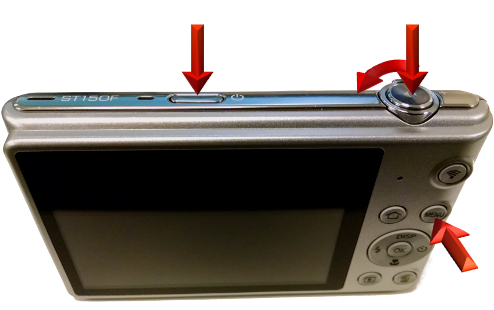 Simultaneously press the shutter button (the button used to take a photo), the left zoom (over toward the minus sign), and the MENU button. While still pressing these three buttons, press the power button and power the camera on. 3. 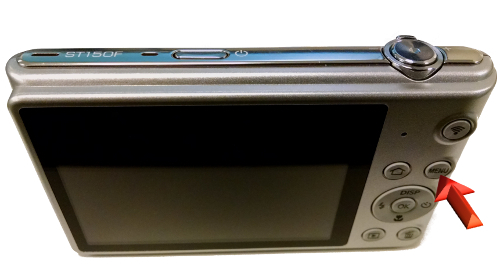 Once camera comes on, release all buttons, then press and release the MENU button. 4. 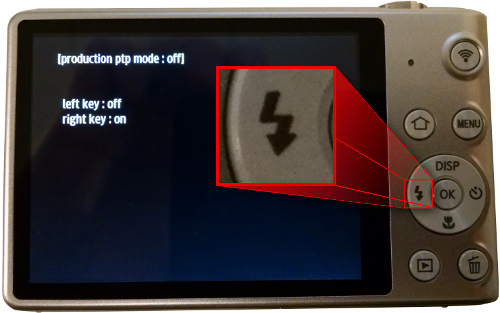 Press the flash button, which turns the PTP mode off. 5. Power camera off and back on. Now it is out of PTP mode and ready to take photos again.